Welcome to ANEK Lines sub – website. Like our vessels we believe that you will find our site interesting and friendly. With our 11 vessels and 36 years experience we guarantee you a unique and pleasant voyage that will surely be unforgettable. Tradition, pride and the famous Cretan hospitality will impress and accompany you during your voyage on any of our vessels from our modern fleet, that continues to gain the trust and respect of all our passengers. ANEK LINES welcomes you to her fleet and wishes you a unique and unforgettable trip! ANEK LINES experienced and qualified crew will see to it that you, our passengers, enjoy the comfort, luxury and high quality service which has made us your preferred choice for the last 36 years. ANEK LINES by continually upgrading its services and renewing its fleet has achieved the ultimate in comfort and security. 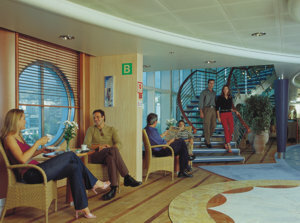 Our super modern ships travel to a variety of destinations both domestic and abroad. and most enjoyable route possible ! 20% discount for British Forces / UN / Military bases, in Cyprus. 20% discount for Greek employees in International Organizations or Greek Embassies, working abroad. 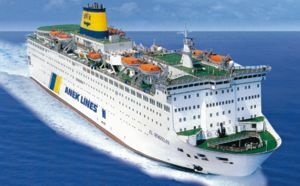 10% discount on domestic fares that are carried by ANEK LINES, ANEN LINES, LANE LINES, DANE LINES and NEL LINES. The discount is valid throughout the year for passengers that issue simultaneously both their domestic and abroad tickets, and is valid for their vehicles as well.